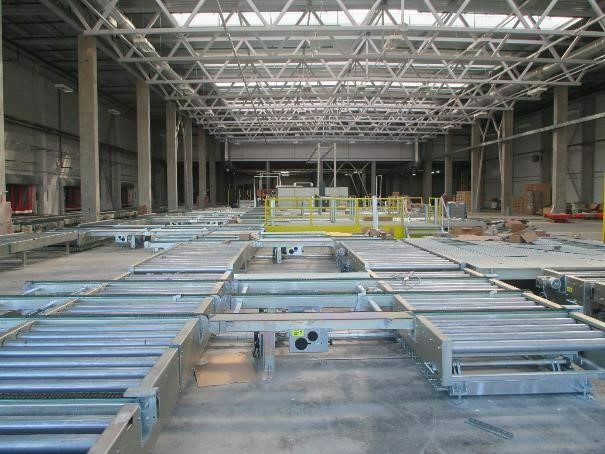 By the end of April, Gorenje Projekt will build and launch an automated high-bay warehouse for an investor in Tver, 150 kilometres from Moscow, Russia. 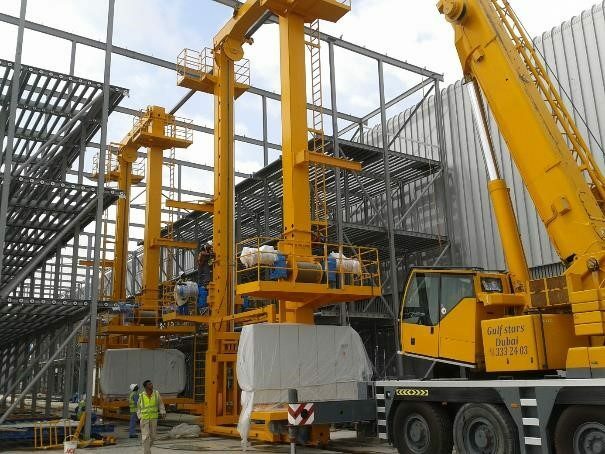 The project, worth EUR 11.65 million, will involve some pioneering work as it will result in the tallest self-supporting crate system in the market. "Our goal is to find projects with technological solutions that differ from the conventional ones. Indeed, this is our competitive advantage relative to major global players who, due to their sheer size, have completed more projects, have more references across the world, and enjoy lower upstream material prices," says Uroš Razdevšek, managing director of Gorenje Projekt. Thus, they relied on innovation in construction engineering. 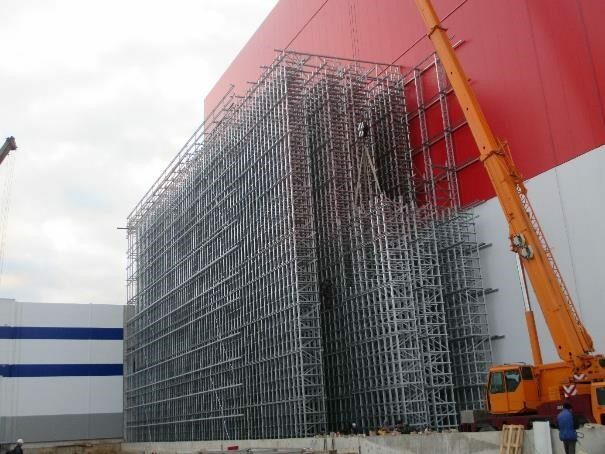 The automated high-bay warehouse in Tver is a particularly challenging project due to difficult statics, wind, and snow load. 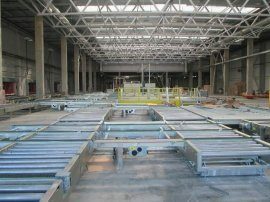 The self-supporting high-bay structure, clad with panels, stands 40 metres tall, while the height of the crate system is 23 metres. The warehouse includes three 40-metre pallet lifts (or cranes) that use a special satellite to store pallets in 14,000 pallet slots, while in the crate warehouse, two 23-metre lifts serve a total of 35,000 crate slots. "To our knowledge, a self-supporting system with crates, of such height, does not exist yet in the market," stresses Razdevšek. "In this sense, we are doing pioneering work here." On hundred and forty trucks were used to transport 2,500 tons of rack structure parts to Russia, and another 40 trucks to transport the lifts and transport equipment for the warehouse interior. The warehouse will be completed and handed over to the customer in April 2016, two months ahead of deadline. Gorenje Projekt has 30 employees and the company has completed numerous projects in a variety of industries: pharmaceutical, chemical, furniture, building envelope and walls etc. Construction engineering program was launched three years ago. "We provide both consulting and construction services. The warehouse is built according to the key-in-hand principle, which affords our customer the benefit of only communicating with a single contractor who assumes responsibility for the entire project execution," explains Razdevšek. "All our solutions are innovative and custom tailored to each customer." The company's target markets include the Russian Federation and the markets of the Middle and Far East. Gorenje Project also includes an energy engineering department specializing in combined heat and power projects, wood biomass boiler rooms, and hydro-mechanical equipment.